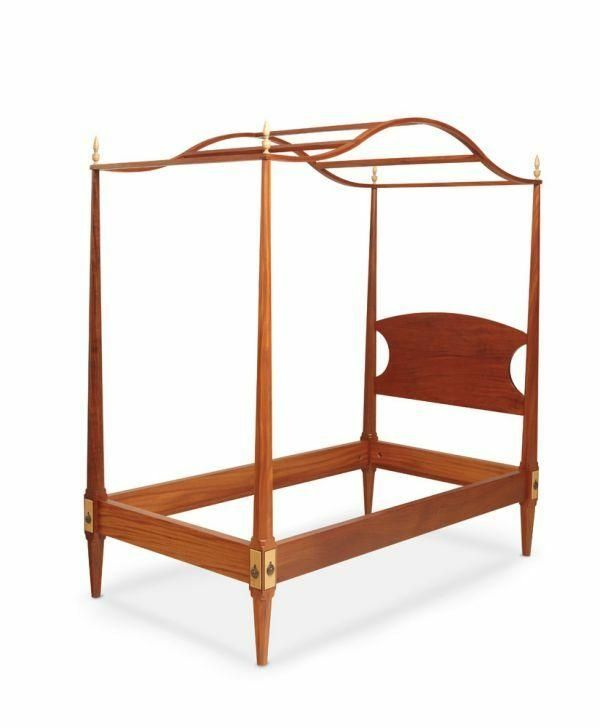 The twin mahogany canopy bed features tiger maple flame finials and pillowed blocks. Four, six-sided solid mahogany pencil posts support the bent arch toped canopy. 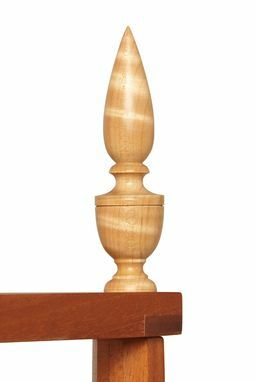 The posts are detailed with hand carved decorative lamb's tongue to compliment the figured maple pillow block. 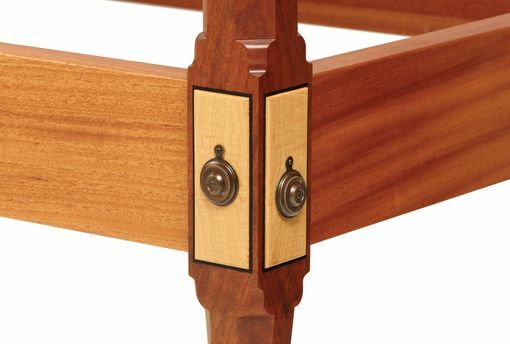 The bed features mortise and tenon rails for added support and strength together with bolts housed beneath traditional bed bolt covers supplied by Horton Brass. I finished this solid mahogany bed in lacquer to highlight the wood's natural warmth. Please allow 6-8 weeks once you place your order. The price is for local pick up only. I can help you arrange shipping, I offer standard crating and white glove delivery (pricing will vary).